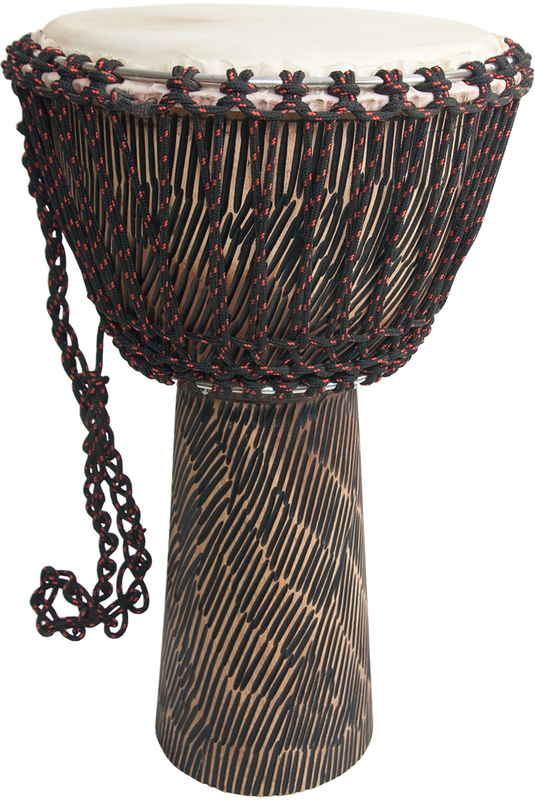 Mid-East 22 Inch Djembe Rope Tuned Sheesham Goatskin Head. Hand hewn sheesham with rustic tribal style carvings. The cord color may vary from the photo. The simple carvings are accented by the variations in the wood grain and coloring. The natural hair has been removed from the playing surface of the goatskin head. The head is tunable by rings and cords. This drum is made up of 2 pieces of wood, one for the bowl and one for the base.